New ferry for Helsinki-Tallinn route slated for completion towards the end of 2021. Tallink Grupp and Rauma Marine Constructions have signed a letter of intent (LOI) to build a new LNG-powered shuttle ferry for the Tallinn-Helsinki route. The ship is to be built at the Rauma shipyard in Finland, with completion slated for the end of 2021. The estimated cost of the project is EUR 250m. The new ferry will be dual-fuel operated, using LNG as its main fuel. "The group's aim is to build the most energy efficient and environmentally friendly vessel operating on the Baltic Sea," Estonia-headquartered Tallink said. Tallink's first dual-fuel (LNG and distillates) vessel, the fast ferry Megastar, was delivered in 2017 and also services the route between Tallinn and Helsinki. The vessel is regularly supplied with LNG via truck by Eesti Gaas, which earlier this month confirmed it had placed an order for an LNG bunker supply vessel that is to operate predominantly in the Gulf of Finland. 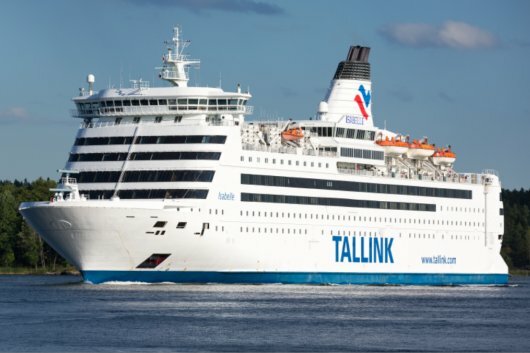 Tallink said on Thursday that over the coming months it will be working with Rauma towards closing the shipbuilding contract and financing arrangements for its second LNG-fuelled vessel.